I’m always on the lookout for yummy snacks made with natural and healthy ingredients that I can enjoy during the day without feeling guilty about calories (especially since I have such a sweet tooth!). Now that the cool weather is here, I’m drawn to crunchy sweet treats that I can enjoy with a second cup of coffee in the morning or with my evening tea. I have a new snack on my shelf now that fits the bill perfectly – BettaSnax Biscotti Chips. 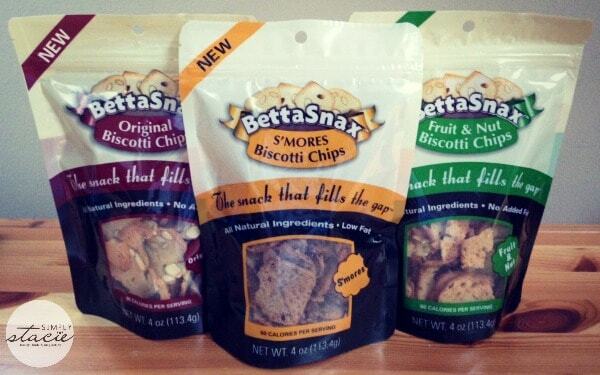 BettaSnax sent me three varieties of their biscotti chips for review – Original, Fruit & Nut, and S’mores. As appetizing as they all looked, I was drawn to the S’mores flavor and dove into that bag first. These are fantastic to satisfy any chocolate craving you may have. I love the crunch combined with the subtle chocolate taste of these chips – so very addicting! The Fruit & Nut also have a nice sweet taste that goes well with the biscotti flavor and crunch. I can honestly say that I can’t pick a favorite between these three varieties – I love all of them! Beyond taste, I love that these chips are a great way to satisfy that between-meal hunger without derailing your diet. These chips are low calorie with no cholesterol, no added fats, no preservatives, and no artificial flavors or sweeteners. A six-pack assortment of these chips (which includes 2 bags of Original, 2 bags of Fruit & Nut, and 2 bags of S’mores) sells for $29.95 on the BettaSnax site. You can also buy individual flavors in both six and twelve packs. I learned they partner with Cookies for Kids Cancer to raise funds for pediatric cancer research. I think I would like the fruit and nut chips. The chips are made with natural ingredients and certainly look yummy. 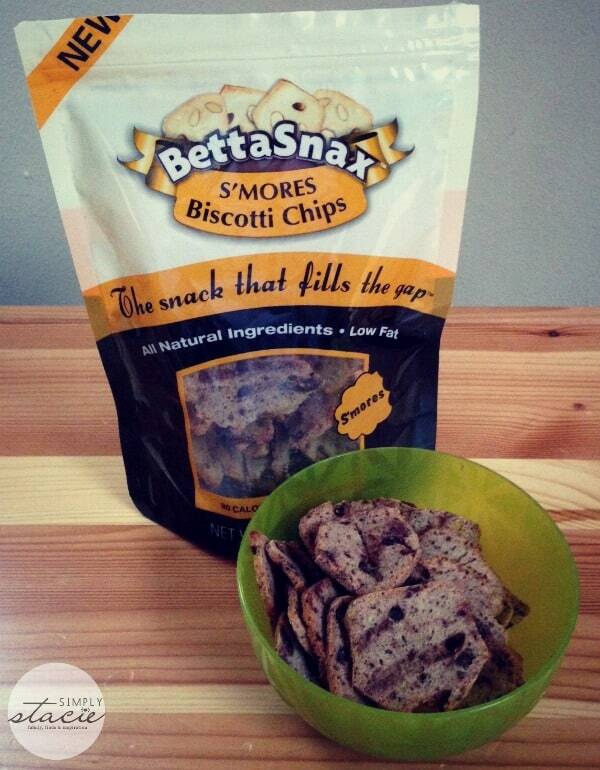 The BettaSnax S’mores Biscotti Chips would be my choice! I learned that they use natural ingredients. I learned that they contain no artificial flavorings and preservatives. 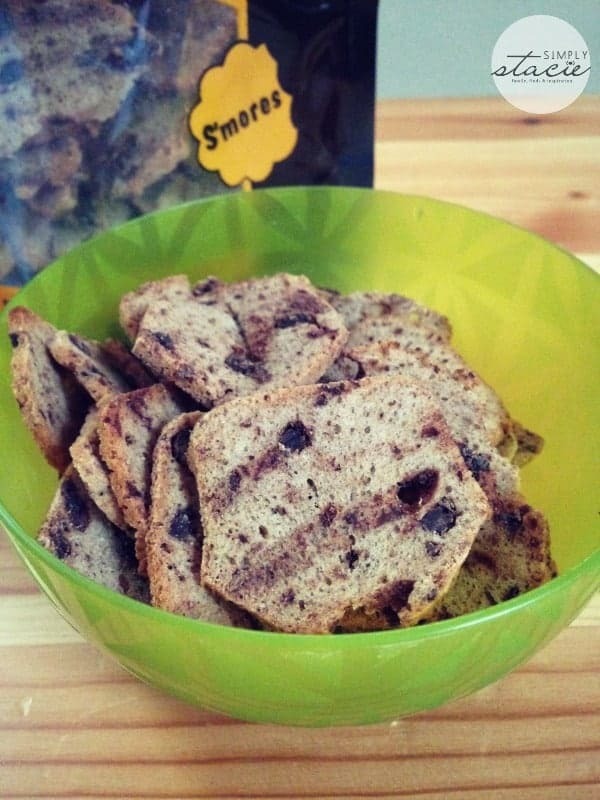 I’d really like to try the Bettasnax S’mores Biscotti Chips! I learned that they have no cholesterol and no added fat. I’d try the S’mores chips. I’d like to try the fruit and nut chips. I would love the Bettasnax S’mores Biscotti Chips. I like that BettaSnax helps raise money for Cookies for Kids with Cancer, and that they use all natural ingredients. Biscotti Chips have no cholesterol and no added fat, preservatives, nor artificial flavorants. The BettaSnax Fruit & Nut Biscotti Chips really caught my attention. Thanks for introducing me to this product. I’d like to try the S’mores flavor. BettaSnax all-natural biscotti have no cholesterol and no added fat, preservatives, nor artificial flavorants. I like that the chips are made with natural ingredients.